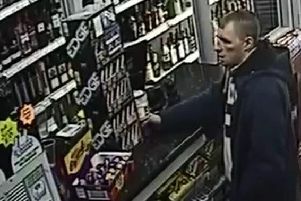 A CCTV image has been released of a car wanted over a series of suspicious incidents in Doncaster. South Yorkshire Police said the blue Ford Focus, with the registration number PO52 KEK, has been seen in suspicious circumstances in Armthorpe, Hatfield and Kirk Sandal. On Saturday, April 21 it is believed to have been used during the theft of lead in the Armthorpe area. Anyone with information on its whereabouts should call South Yorkshire Police on 101 or Crimestoppers on 0800 555 111.